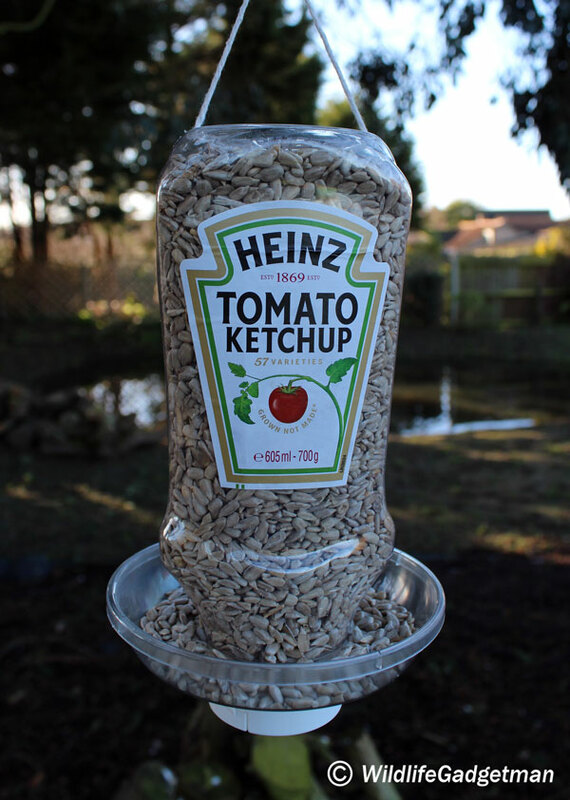 Make a Hanging Bird Feeder Using A Recycled Heinz Tomato Ketchup Bottle. 2. 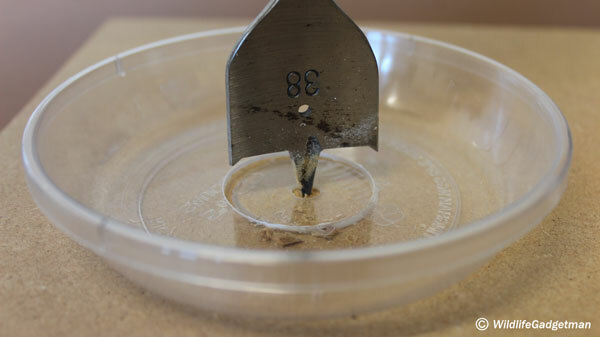 Drill a hole in the seed tray. 3. Create four seed ports. 4. 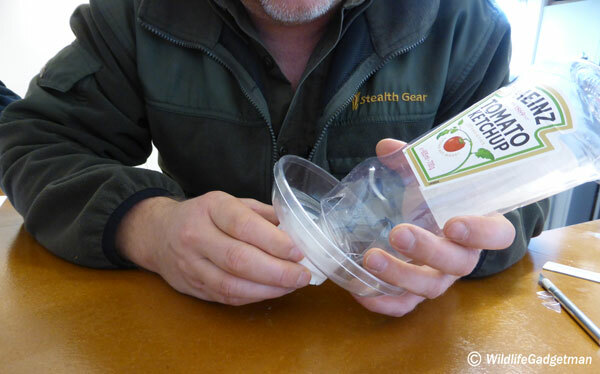 Check the seed tray fits onto the bottle. 5. Drill two hanging holes. 6. Add the hanging string. 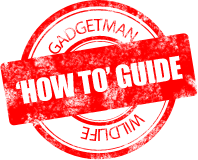 Cut a 700mm length of string and thread each end into one of the holes you’ve just drilled in the base. 7. 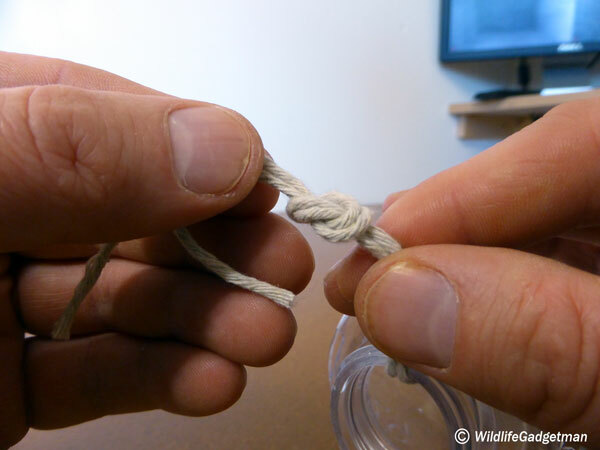 Tie the ends of the hanging string together. 8. Fill your new feeder. 9. Attach the seed tray. 10. Hang your new feeder! How ingenious some people are!! What a clever idea! 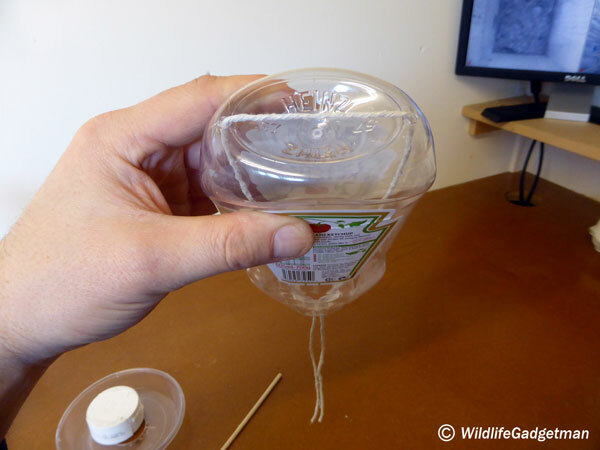 I like the idea of using the shelled seeds, saves some of the mess! Our 4-H club made these and gave to the nursing home to hang for there residents to watch the birds. Awesome!! Thank you for sharing. How cute ! I’m going to try this today ! Thanks for the idea! 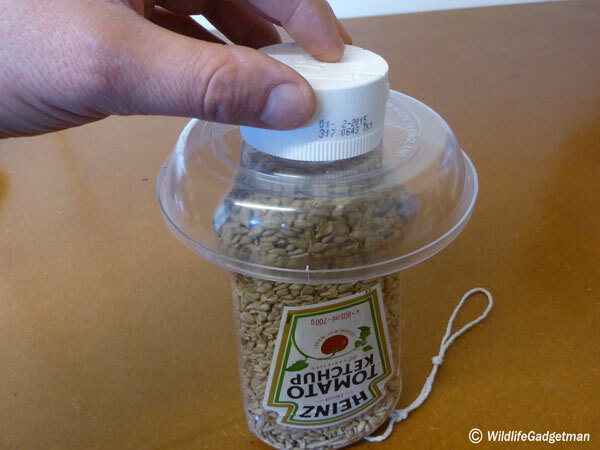 This is a really simple and very clever feeder! Thanks for sharing. I can’t wait to do this with my grandchildren !!! Terrific idea and so easy, thanks. I cant wait to make some of these bird feeders. Might add some color by painting the bottles. 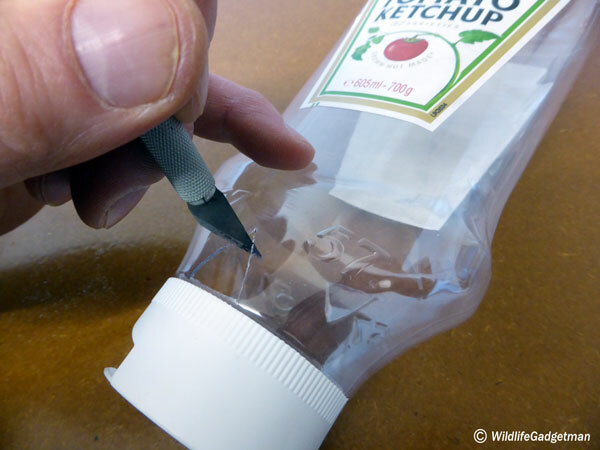 I can’t wait to finish the next bottle of ketchup to try this…. 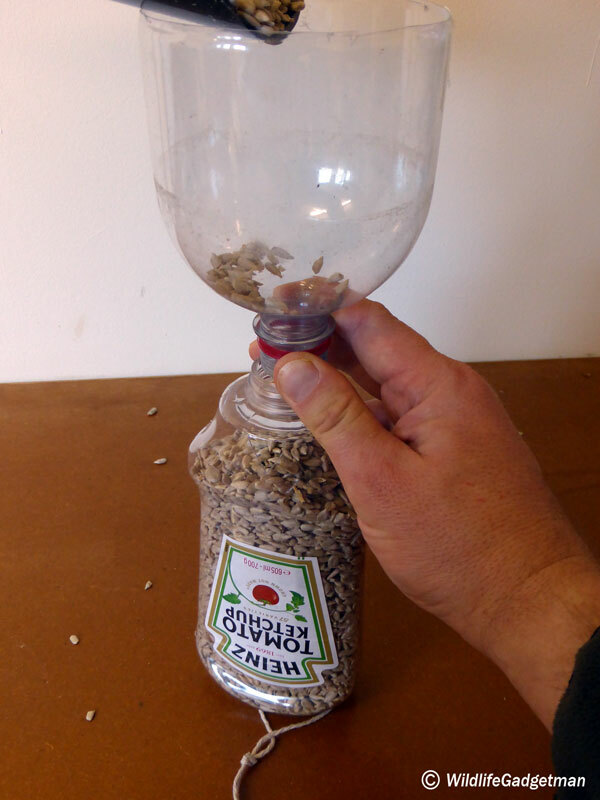 I have been looking for a nifty way to make a bird feeder. Thank you for the idea! Love this.got to make me one. 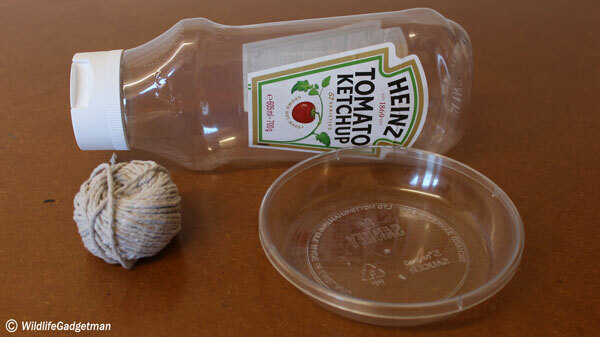 What super simple but effective way to re-cycle. I think this is an adorable craft to do with the Grandchildren! Thank you for this inspiring idea. One question tho, the seed tray… where would I find this or can I use something els? Great idea..thanks I will make one of these ..
I’ve been thinking of making a bird feeder for a long time and I finally got to it thanks to your post. It worked perfectly for my garden mostly because since the birds associated my yard with food they often come to visit and the mosquito count significantly dropped. Great stuff! Love this. Just collected all parts. Will be assembling over the next couple of days. Thanks for a fantastic idea. I loved this! I made these with my church kids ar VBS but used Pure Leaf iced tea bottles (which were more plentiful for a group project), plant trays from WalMart (approx. $1.30 w/ a flower design on the bottom) plastic lacing & pony beads for the hanger andfun duct tape to jazz it up!